The estimable scribes of The Guardian have selected our forthcoming Leicester Square Theatre show on December 9 as one of their picks of the week. 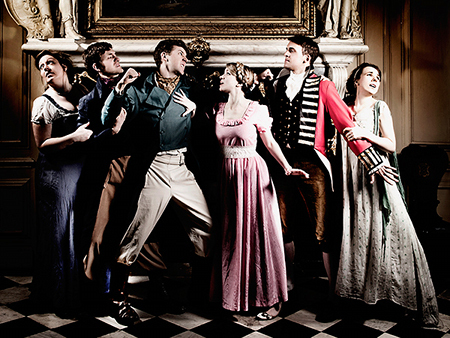 Amongst their kind words: “Given that the group can call upon the talents of highly rated young character comic Cariad Lloyd, laughs are likely to be plentiful, and it turns out the tropes and tics of Austen are fertile territory for high-grade humour”. Their sentiments can be accessed here, or perused in print in the Guardian Guide. Four Stars from The Times!